Are you happy? Do you feel secure? Could you use a little more peace of mind? It is within your power to increase your happiness and security. It's not as hard as you think. And you don't have to have the Midas touch like Henry Trione or Warren Buffett. This book is a collection of inspirational, true stories about ordinary people's lives--here in Sonoma County. Their financial situation and the follow up advice provided give hope and inspiration through heartwarming stories about counting your blessings, thinking positive, and overcoming challenges. 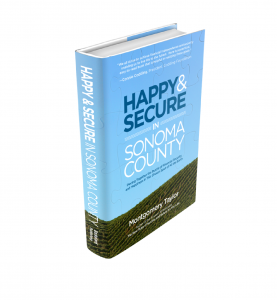 In Happy & Secure in Sonoma County, Montgomery Taylor has collaborated with Sonoma County's best and brightest professional counselors and advisors from diverse fields and backgrounds to share how they found and have helped others find Happiness and Security in Sonoma County. 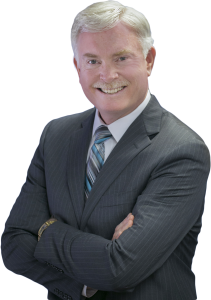 Accompanying Monty’s expertise in Financial Planning, contributing co-authors represent the fields of Estate Planning, Mortgage Lending, Business/Individual Insurance, Real Estate, Philanthropy, Home Care, Business Law and Family Law. Regarding Happy & Secure in Sonoma County, Connie Codding, President of the Codding Foundation, says, "We all strive to achieve financial independence and security enabling us to live life to the fullest. Here is a practical, easy-to-read book that is helpful in realizing these goals.” The bottom line: You have to pay attention to your money—and Montgomery Taylor shows you how to make the most of what you’ve got—but you don’t have to be rich to achieve financial happiness. You can do it too, with the help of this book. 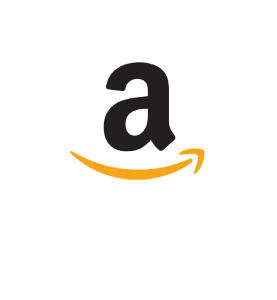 Available in 3 formats on Amazon!